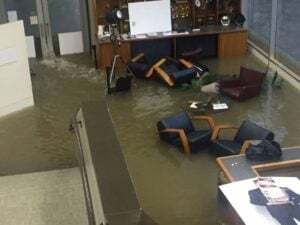 Although the initial cleanup from hurricane rain and floodwaters is nearly finished, facility managers in the south have an ensuing issue to now consider – indoor air quality (IAQ). Standing water and wet materials are breeding grounds for fast-growing microorganisms such as mold and bacteria. 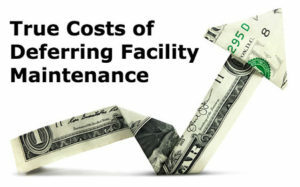 Failing to remove contaminated materials and reduce moisture and humidity may present serious long-term costs for facility managers and health risks to building occupants. In the aftermaths of Hurricanes Maria and Irma that hit Puerto Rico in September, asthmatics in that territory are being warned about the increased risk of mold exposure. 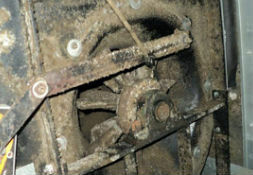 Numerous residential, commercial, and institutional buildings in Puerto Rico are contaminated with mold because of the water damage and people are experiencing increased levels of indoor humidity levels, made worse by the lack of air-conditioning and mechanical ventilation resulting from widespread power outages. “We are coming across mold and other microbial issues in many of the properties we are called upon to inspect and provide our expertise,” according to Harry Pena, president of Zimmetry Environmental. 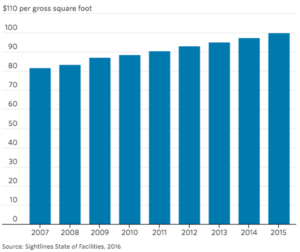 Sick building syndrome, typically attributed to poor indoor air quality because of contaminants, such as mold and mildew, is a major concern in facilities damaged by flood waters in many US cities. If the mold and mildew aren’t properly removed, building occupants may experience immediate adverse health effects attributed to mold exposure. Most common short-term effects include irritation of the eyes, nose, and throat, headaches, dizziness, and fatigue. According to the EPA, other health effects may show up either years after exposure has occurred or only after long or repeated periods of exposure. The long-term effects, including respiratory disease, heart disease and cancer, can be severely debilitating and fatal. These federal agencies have guidelines that include protective measures for mold remediation and cleaning. 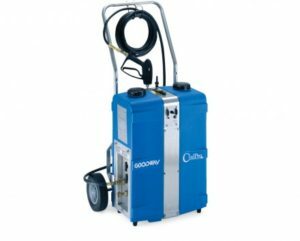 Goodway.com is also a helpful resource for facilities affected by flooding and offers you some of the best advice and products to get your facilities back in operation. For example, CoilShine-BC Mold and Mildew Inhibitor is a commercial grade, EPA-registered, ready-to-use treatment that inhibits mold growth. It can be applied to coils, ducts, drain pains, and other components, and is formulated for use in sprayers. In addition, FreshDuct Odor Eliminator controls the odor left behind by mold and mildew. It’s non-toxic and biodegradable, destroys odor molecules on contact, and leaves your ducts smelling fresh. You can use these four steps to initially control mold outbreaks on hard surfaces or within an HVAC system. Identify and clear the source of water. This could be free flowing water, or damp conditions caused by incorrect air-conditioning settings or system malfunction. Clean ALL surfaces with an EPA-registered disinfectant that is effective against mold, mildew, bacteria, and more. Protect surfaces against mold growth (as the disinfectant only cleans it right then and there) by applying an EPA-registered growth inhibitor that’s labelled for use while buildings are occupied. Fight lingering odor with an effective odor neutralizer. 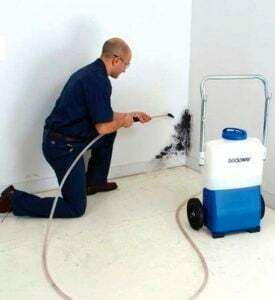 Ultimately, when it comes to mold remediation, time is critical, as well as getting professional services from a mold remediation specialist, if needed. Getting your facility in shape sooner rather than later will help you help assure indoor air quality and save you from any additional post-hurricane headaches in the months to come.